A parliamentary report of 1777 recorded a parish workhouse in operation at Tetbury for up to 60 inmates. 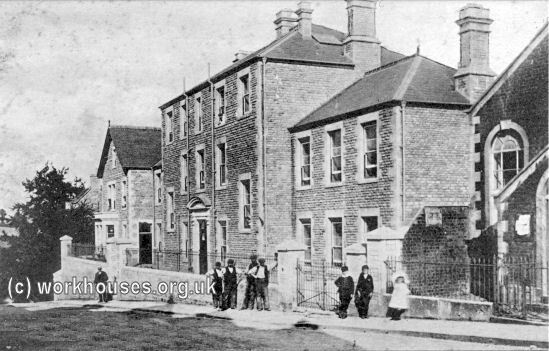 A new parish workhouse was erected in Tetbury in 1790 at a site to the east of the Market Place. Gloucestershire: Beverstone, Boxwell-with-Leighterton, Cherington, Didmarton, Kingscote, Newington Bagpath, Oldbury-on-the-Hill, Ozleworth, Shipton Moyne, Tetbury (3), Weston Birt-with-Lashborough. The population falling within the Union at the 1831 census had been 5,797 — ranging from Ashley (population 99) to Tetbury itself (2,939). The average annual poor-rate expenditure for the period 1833-35 had been £3,216 or 11s.1d. per head. 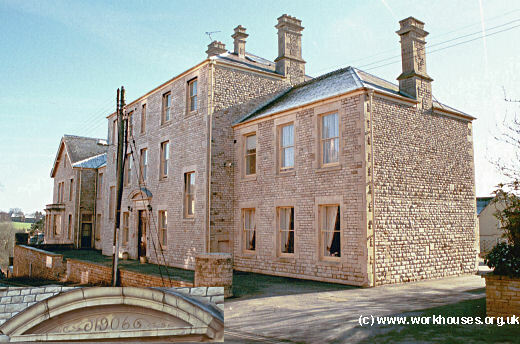 Initially, Tetbury Union continued to use the existing Tetbury parish workhouse. The Board of Guardians bought the site and alterations were made with advice from the architect Sampson Kempthorne. The resulting site layout is shown on the 1898 map below. The original buildings had a large block facing to the north-west, flanked by a number of smaller blocks to each side and at the rear. An access path lay at the north-east of the main building. It is not clear whether the land at the north side of the path was part of the workhouse site at this time. 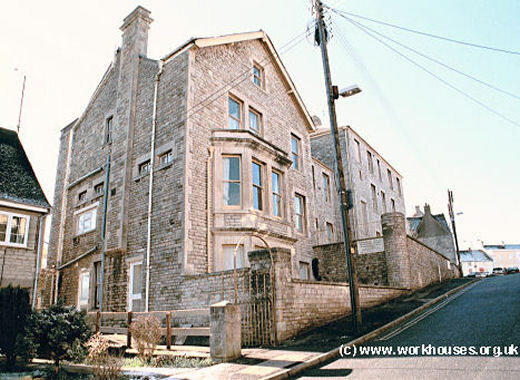 In 1905-6, the workhouse was rebuilt with a Mr Lawson as architect. The new building, which cost £3,850 (less £150 allowed for the old material) was built by George Drew. The redevelopment involved moving the access path a little way to the north-east and incorporating the land in between into the main site. The new building adopted a T-shape layout, with a central administrative block at the front, with male and female accommodation at each side. Tetbury from the south-west, c.1907. Tetbury from the south-west, 2001. A separate house at the north of the workhouse accommodated the workhouse Master. 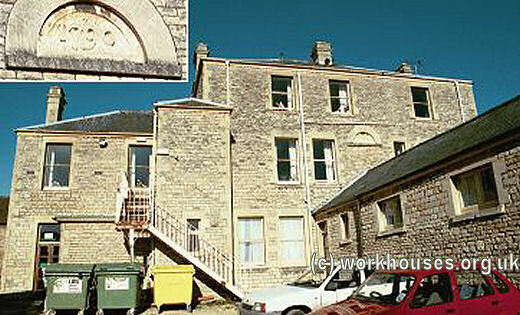 Tetbury workhouse Master's house from the north, 2001. The wing to the rear housed the dining hall and kitchen. A separate laundry stood at the south-east. A date-stone from the 1790 workhouse is incorporated into the rear of the main block. Tetbury rear of building from the south, 2001. The workhouse location and layout can be seen on the 1919 map below, by which time the workhouse was officially known as Tetbury Poor Law Institution. In the 1940s, the workhouse was used as the Cotswold Maternity Home and had sixteen lying-in beds. The building is now used as an care home for the elderly. Gloucestershire Archives, Clarence Row, Alvin Street, Gloucester GL1 3DW. Limited holdings include: Guardians' minute books (1836-1917, 1924-30); Vaccination registers (1893-1921).